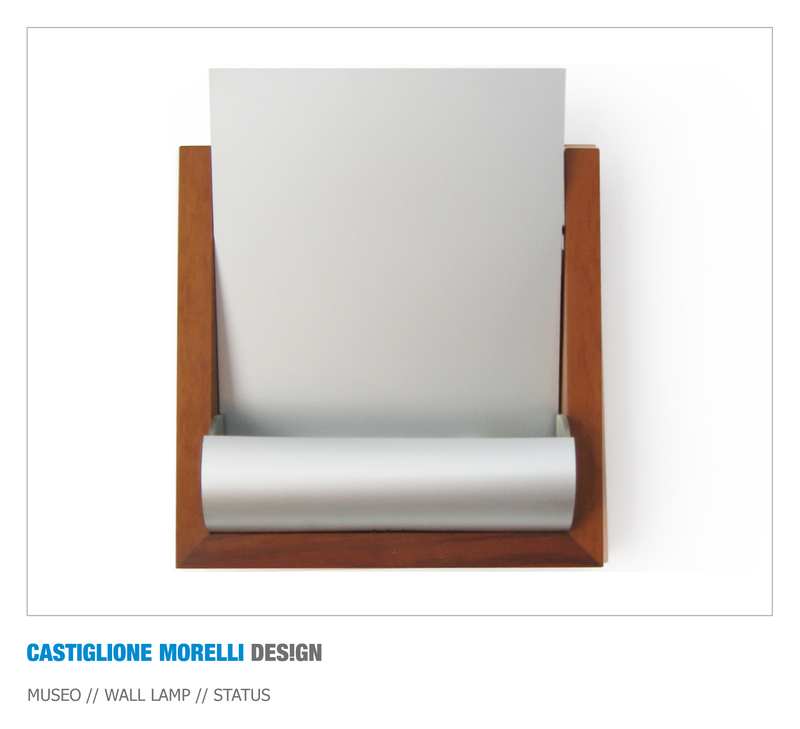 Museo is a little jutting wall lamp ideal for narrow rooms. 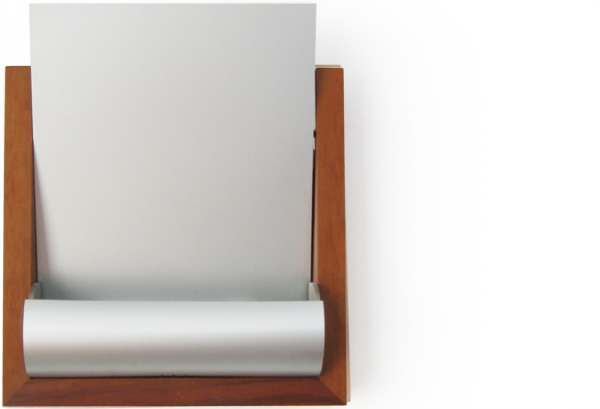 Its light diffuser is a shaped foil. The wooden frame, available in different essences, gives the lamp a domestic tone that makes it discreetly adaptable to all styles of furniture. Museo is provided with a double source of light: an energy-saving bulb (26 watt Dulux), that reflects down the light through the aluminium diffuser, and a 200 watt linear halogen lamp upwards pointed. Both lamps can be separately turned on.